Are you paying too much in terms of energy costs to have this access to hot water? Maybe. Many people are unaware of the fact that they don’t have to depend on a tank! Going tankless is an option; in fact, a very beneficial option in some cases. Drinking hot water from the tap is not free of danger. You see, the water may be clean initially, but its warmth promotes corrosion of the metal pipes. Over time, this water becomes unsafe to drink as lead is released in the flow. 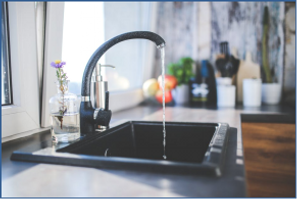 According to the Environmental Protection Agency (EPA), amounts of lead may still be found even if your house’s plumbing is lead-free. Cold water doesn’t promote corrosion to a significant extent. Since the tankless heaters are more like point-of-use systems, they heat water at the tap. No hot water remains trapped in pipes, minimizing the risk of corrosion and lead contamination. Think about it: you can brew tea without needing to turn to the kettle and boil pasta anytime with instant hot water! We still suggest flushing out stagnant water if you’ve been away from home for a period of time (for example, vacations). Nothing wakes you up like a hot shower! Soaking under that stream of hot water, we’ve all lost track of time. But the environment may not be able to take it! What’s fun for us can be damaging or the atmosphere. In the U.S., we use over 1 trillion gallons of water for showering! Cutting down shower time allows us to conserve the environment with minimum effort on our end. With tankless heaters, you can save energy costs of heating water too. It doesn’t warm up water before use; but the heating occurs at the tap. Tanked heaters reheat water periodically ¾the cost of which you’ll be saving if you opt for a tankless system! 3. Find the perfect temperature quickly! Washing dishes before going to bed seems like a good idea. No dirty dishes for the morning! But this changes the moment you turn on the tap and cold water flows out of it. At first, you’ll have to wait for hot water to finally start flowing. Then, it might get too hot too quickly. Trying to find the balance often seems like a lost cause. Not with tankless heaters! Electric water heaters have built-in temperature adjustment technology, giving you water at the exact temperature you wish it to be! Turn the dial and tackle any chores you’ve got to do around the house. If you’re ready to make the switch, we have a range of residential electric water heaters. 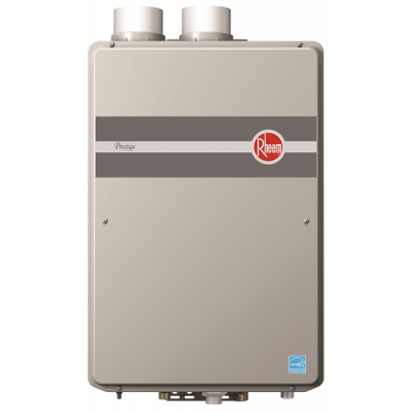 Check out our variety of tankless electric water heater and order your favorite model today!